In a bowl, add Chocolate Premium Protein Powder and yogurt. 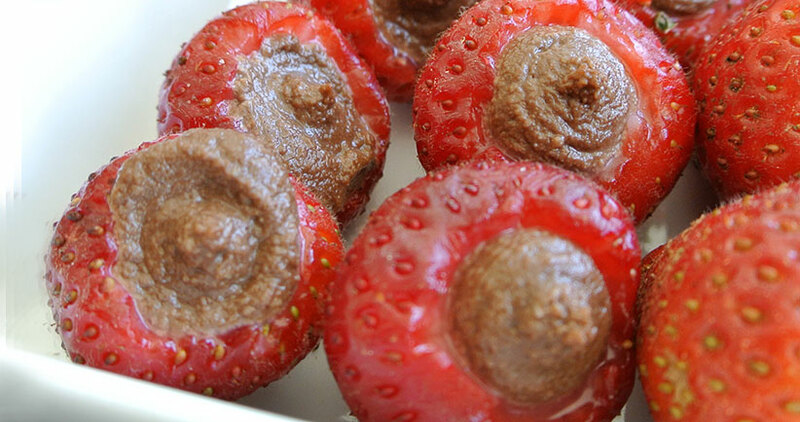 Wash strawberries and remove center with small spoon or a knife. Pipe or spoon filling into strawberries. Add vanilla extract, cocoa powder and/or Splenda to enhance the filling’s flavor. Top with shaved Chocolate Sensations if desired.